islands – Under the influence! Hy-Brasil, Buyan, Saint Brendan’s Isle, the Island of Antillia, and the Isle of Avalon are five fabled islands that were once believed to have existed by many people through the ages. All had their own magical qualities and characteristics that were given to them by the human culture they appeared in. From the elusive island of Hy Brasil, King Breasal had a safe place to rule the world ensuring the natural order was kept. The Slavic people gave Buyan magical qualities to keep safe important concepts such as the Alytar and the Sacred Oak Tree and it was safe enough for Koschei the Deathless to keep his soul there. For Saint Brendan, although he found many islands, the Land of Promise, which he really sought may have been more of a goal of spiritual attainment. The seven Visigoth bishops found a distant island where a way of life they believed in and cherished could continue untroubled and in safety out of reach of their enemy. The Isle of Avalon holds a special place in the mythology of the British Isles as the place where their King awaits the call to return and save his people. 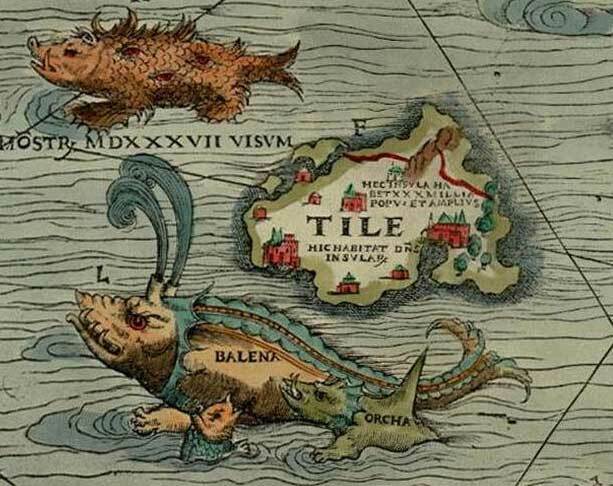 Of course, there are many other ideas concerning these mythical places, but what really matters is what each person makes – or is made, from these five islands of fable. All around the globe legends abound of mythical cities, lands and islands that have been lost for some reason. Some, such as the mythical cities of El Dorado and Shambala are lost in jungles or impenetrable mountains.